Who is shaping the future of economic development in Indian Country? Who has a say in tribal economic growth and who benefits? What role do American Indian workers play in shaping how tribal economies and enterprises work? What would it mean to conceive of indigenous self-determination from the vantage point of work and workers? The Work of Sovereignty addresses these vital questions. It explores the political, economic, and cultural forces that structure and influence indigenous economic development, giving special attention to the perspectives and priorities of the indigenous working people who build tribal futures with their everyday labor. 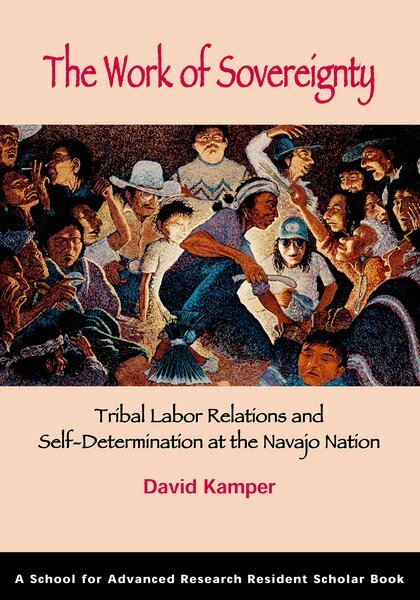 Kamper argues for the importance of recognizing tribal labor relations as a factor in indigenous economic enterprises from gaming to health care and beyond. Although most research on tribal sovereignty and economic development focuses on legal theory and governmental operations, The Work of Sovereignty centers on the people who make sovereignty work. It presents a thoughtful, in-depth look at the ways labor relations play out in Indian Country, how tribal employees view their relationships with their bosses and tribal enterprises, and how this view connects to their enactment of indigenous self-determination.